This rare piece of exquisite furniture is imported direct from Italy. 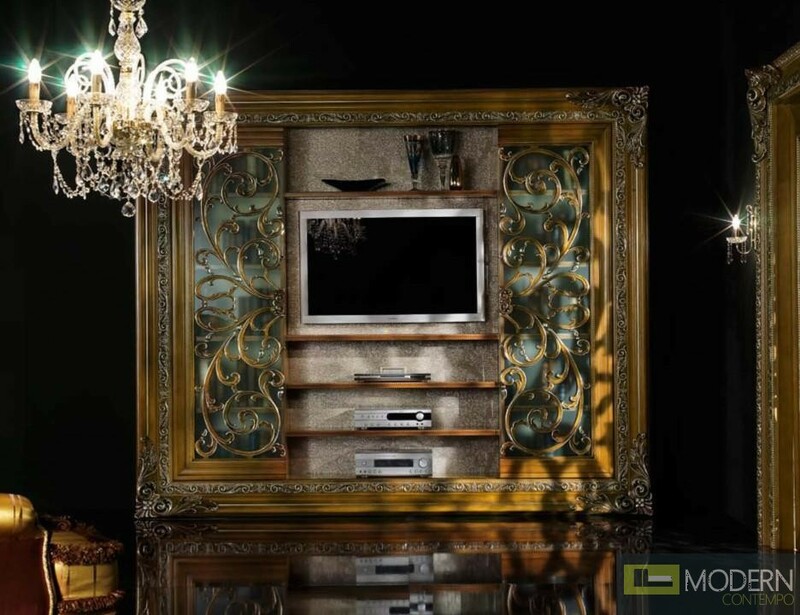 This baroque-style entertainment center has a lavish build and is constructed of fine materials. In it's center, it has multiple built-in shelves which provide space for your electronics and television. On both sides are beautiful, glass panels. W112.2" x D22" x H92.7"